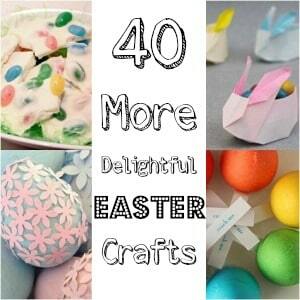 Looking for Easter Crafts?! 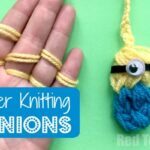 Especially Easter KNITTING DIYs? 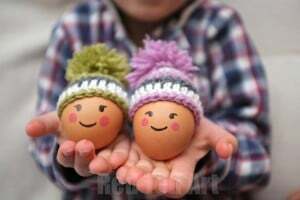 Well.. it is spring, spring, glorious spring. 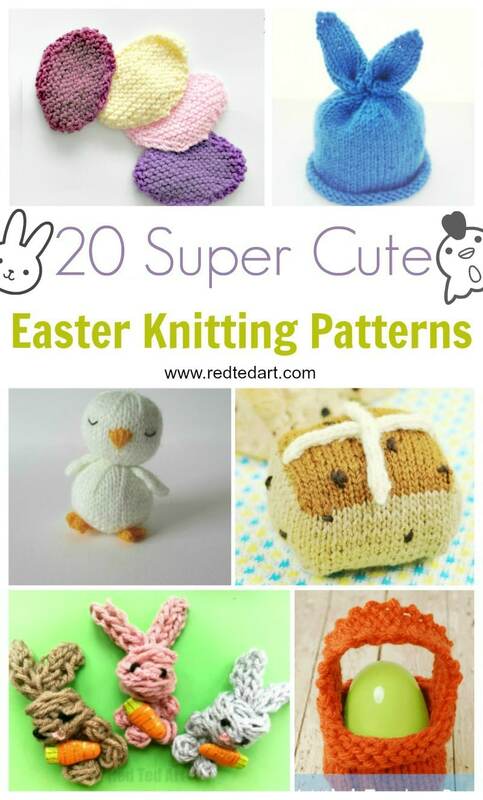 And with it comes Easter and all kinds of bunny stuff, including, yep, you guessed it, a plethora of super cute knitting Easter patterns. 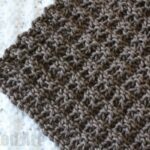 We haven’t shared any Knitting Patterns in a while, though love to knit ourselves. 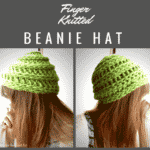 Where it is Finger Knitting for Kids, or “traditional” knitting patterns. 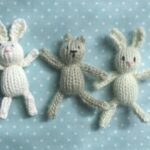 Today, we share a collection of fabulous Easter Knitting Patterns to get you into the Easter Mood. 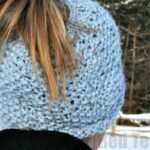 I do adore that cute and easy Bunny Hat Pattern! 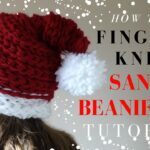 I also have a fantastic How to Knit Left Handed resource, if you find that useful! 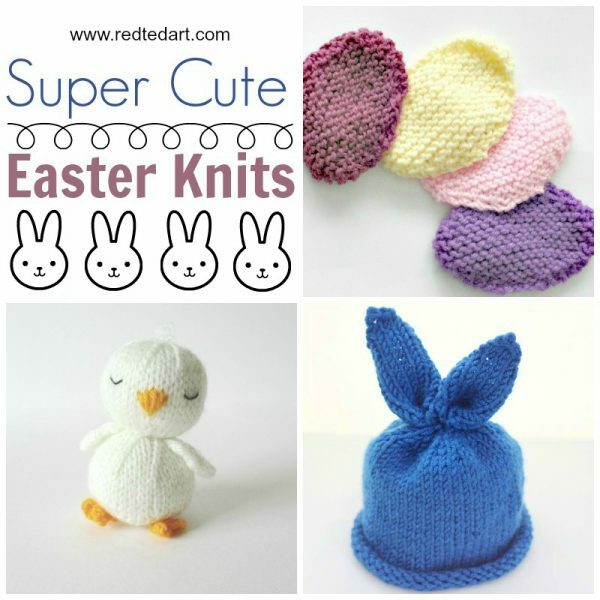 Some holidays just call for extra cuteness, and Easter decidedly does not disappoint. And neither do these projects. 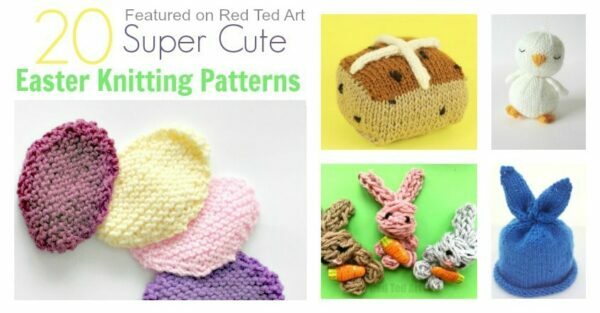 Red Ted Art – Mini Bunny Knit for a Teddy Bear’s Picnic! 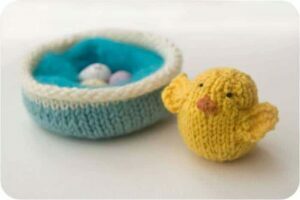 From toys to pot holders, behold the utter adorableness. 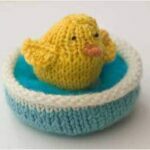 Oh, I threw in some duckies for good measure! 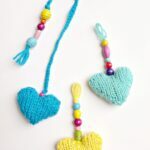 I’m not gonna lie – I totally prefer the ooey gooey filled chocolate variety of eggs at Easter, but these are entirely too sweet to not be included. 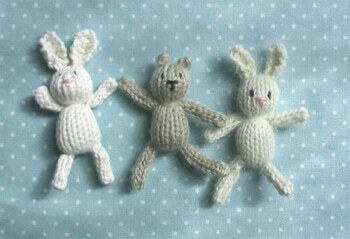 I do hope you found these Easter Knitting Patterns inspirational!! !